Learning Center> Blog > Uncategorized > Congratulations, Zebracard! 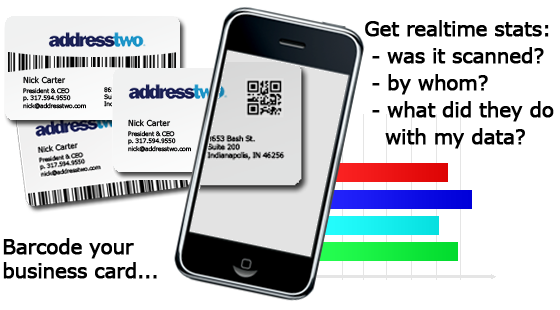 Ever wish you could track exactly what happens to your business card once it’s been handed out? You aren’t alone – dozens of intrigued supporters have funded Nick Carter’s Zebracard, a cutting-edge technology that tracks what information is acted upon once a business card has been scanned. Zebracard’s disruptive concept has even attracted the likes of John Jantsch of Duct Tape Marketing. John has utilized Zebracard as a multi-post case study series for crowdfunding marketing techniques – from pitch to building buzz and beyond, Zebracard’s efforts and successes have been closely followed and reported upon so that others may follow their lead. Interested in learning more about Zebracard’s next steps? Check out their website for updates, details, and (of course) some Zebracards of your own!